With multiple high-performance mass-spectrometry platforms we can provide comprehensive coverage of samples, and high sensitivity. We provide a wide range of qualitative and quantitative proteomics services, including protein and PTM ID, label and label-free quantitation, and intact mass analysis. 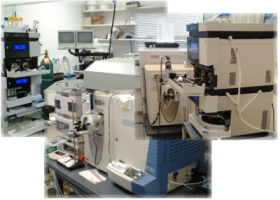 Our staff have significant experience in a wide range of proteomics methods and are active researchers, ensuring we can give you expert advice and provide high quality results. 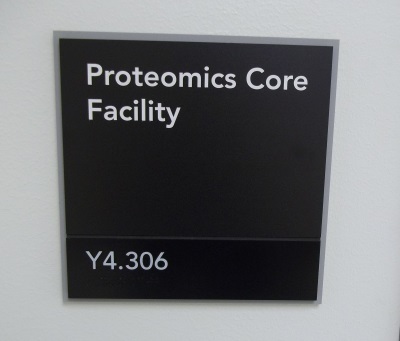 Our core has 7 modern LC-MS platforms, a team of experienced staff, excellent computational infrastructure and a strong track record contributing to publications. Read more to find out about our equipment, people and achievements. We offer intact mass analysis, protein and PTM identification, and quantitative services with a quick turnaround time. Read more to learn about the capabilities of these services, sample preparation techniques, pricing etc. All samples are submitted by first entering them into our online submission system and then bringing them to the core laboratory. We provide detailed guidance on cutting gels, avoiding contamination etc. Read more to ensure your experiment is successful.